The IUA exists to promote and enhance the business environment for international insurance and reinsurance companies operating in or through London. 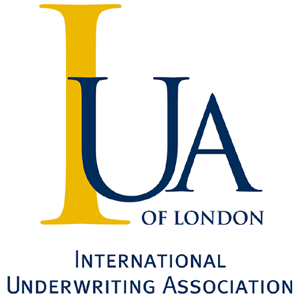 The IUA was formed on 31 December 1998, through the merger of the London International Insurance and Reinsurance Market Association (LIRMA) and the Institute of London Underwriters (ILU). This union brought together the representative bodies for the marine and non-marine sectors of the London company insurance market. The ILU’s history in the marine, aviation and transport insurance markets dates back to 1884. Senior members of marine insurance companies had, since the 1850s, been meeting informally in the Jerusalem Coffee House and the Jamaica Wine Rooms near the Royal Exchange to discuss policy wordings and other matters of mutual interest. A proposal was made to establish a formal representative underwriting association in July 1882 and two years later the new ILU took up offices in the Royal Exchange Buildings. LIRMA was formed in 1991 from the merger of previous insurance associations, established in the 1960s and 1970s, to support non-marine insurance business and reinsurance. The IUA promotes the design and implementation of all aspects of market modernisation, including process reforms and electronic interfaces across the market. This includes working on new processes for placing, claims and accounting and settlement using ACORD standards as the preferred format for data, in conjunction with leading organisation in the market. A full secretariat service is maintained to support the numerous underwriting and claims committees which provide valuable technical input and ideas of best practice to the benefit of the whole membership. In recognition that insurance and reinsurance regulation is strengthening locally and converging globally, the IUA monitors and responds as necessary to regulatory developments. The consequent compliance activities are linked to the overall public policy work.